The accused Charleston church shooter had a troubled past even before he was arrested for killing nine people at Emanuel AME Church in June 2015. CHARLESTON, S.C. — Long pauses sometimes separate his sentences as he reads notes written by his attorneys, then gathers his thoughts. From time to time, stutters punctuate his words. At other moments, Dylann Roof sounds confident — as he did Thursday morning when he asked the judge to delay a planned Tuesday trial start for his capital case. He would, however, like the process of picking jurors to slow down. The federal judge overseeing the case declined. 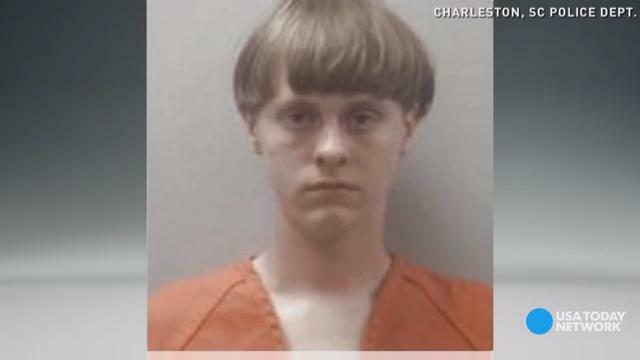 Roof could face the death penalty should he be found guilty of killing nine black worshipers at Emanuel African Methodist Episcopal Church in June 2015. In serving as his own lawyer, the 22-year-old is uttering the most substantial comments he’s made in public since his arrest. There is little doubt Roof is intelligent. U.S. District Court Judge Richard Gergel has called him as much in open court, and in documents noted he has an “extremely high IQ,” free of cognitive impairment. Throughout the proceedings, the admitted white supremacist remains attentive and engaged, making no outbursts or inappropriate statements. But many case watchers well-versed in death penalty litigation question whether deep-seated mental health problems are behind the “beyond the pale” shootings at Mother Emanuel. With his demand to represent himself, they doubt jurors will ever hear of them. Capital defendants typically choose to represent themselves for three reasons, said Charleston attorney Chris Adams, who has handled about 75 death penalty cases across the country, keeping all those clients off death row. In the first, defendants have no faith in their attorneys, an option Adams rejects in the Roof case. Roof was represented by a team widely regarded as among the best in the country not only for their legal knowledge, but also for their compassion and dedication. Some want “death by jury,” he said, while others hope to hide a mental health condition from a public forum. High intelligence does not preclude mental impairment, he added, noting “Unabomber” Ted Kaczynski was known both as a domestic terrorist and a math prodigy. White supremacist Frazier Glenn Miller Jr. was sentenced to death last year for killing three people in Kansas, two of them at Jewish center. He told jurors he regretted not killing more people and saluted with a “Heil Hitler” when he was found guilty. Roof’s defense team this summer announced its intent in court paperwork to introduce evidence relating to a mental disease or defect, though any possible affliction has not been disclosed. In media accounts, Roof’s expressions have sometimes been described as smirks or slight smiles, but to watch him in court is to see his face occasionally pull into subtle grimaces or winces that aren’t always connected to the issues at hand.